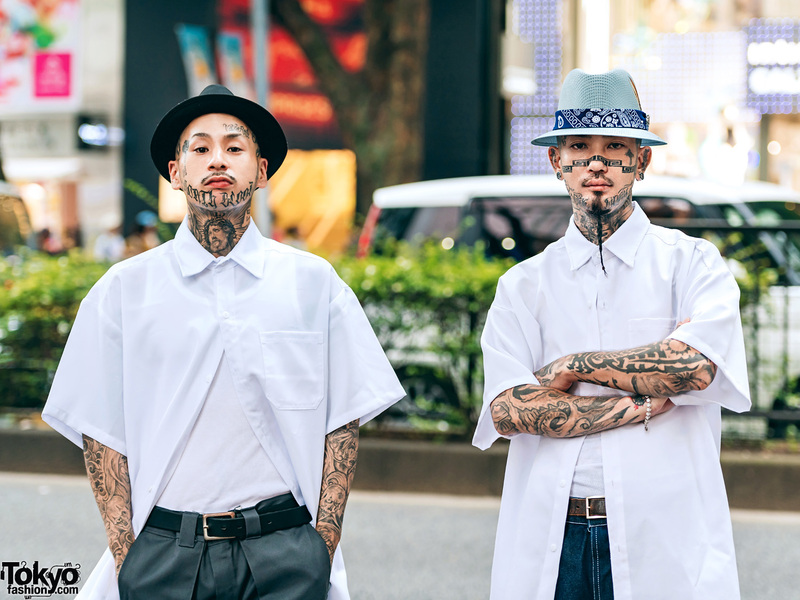 We ran into Taku and Genbu on the street in Harajuku where their striking tattoos easily caught our eye. 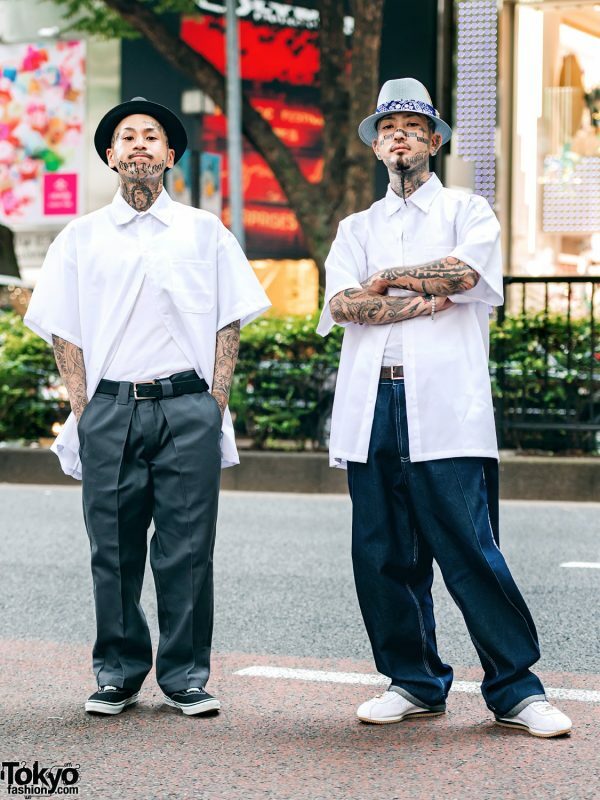 On the right is Genbu in a teal fedora. 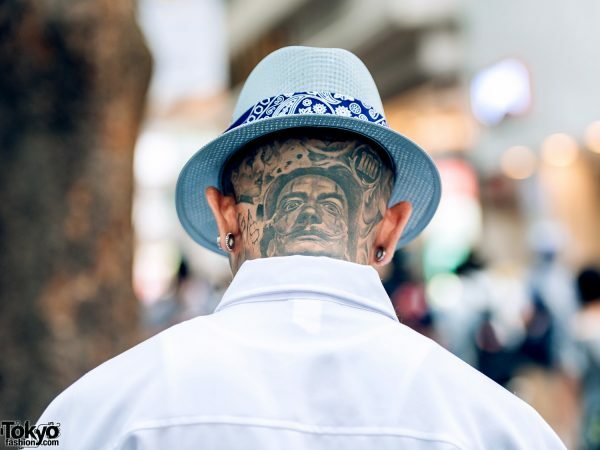 The Japanese tattoo artist wore a large white button-down top with the first button fastened at the collar. 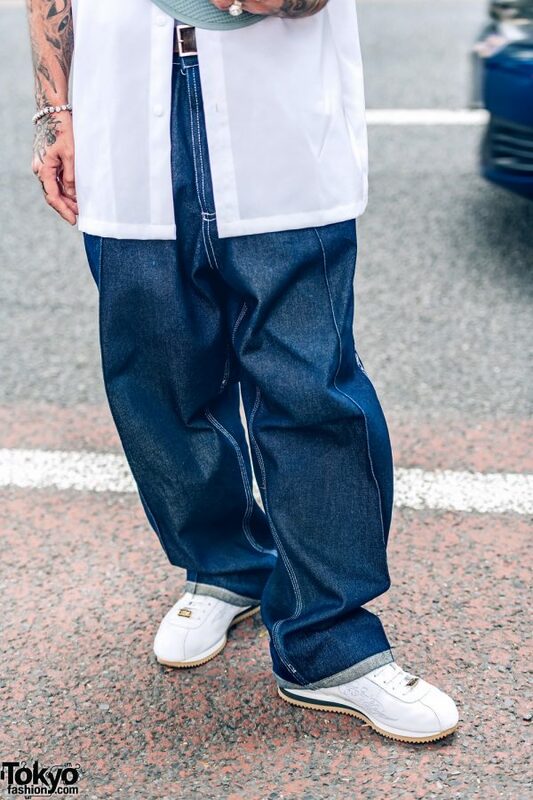 Genbu wore a white T-shirt underneath and tucked it into loose denim jeans, which were cinched at the waist with a leather belt. 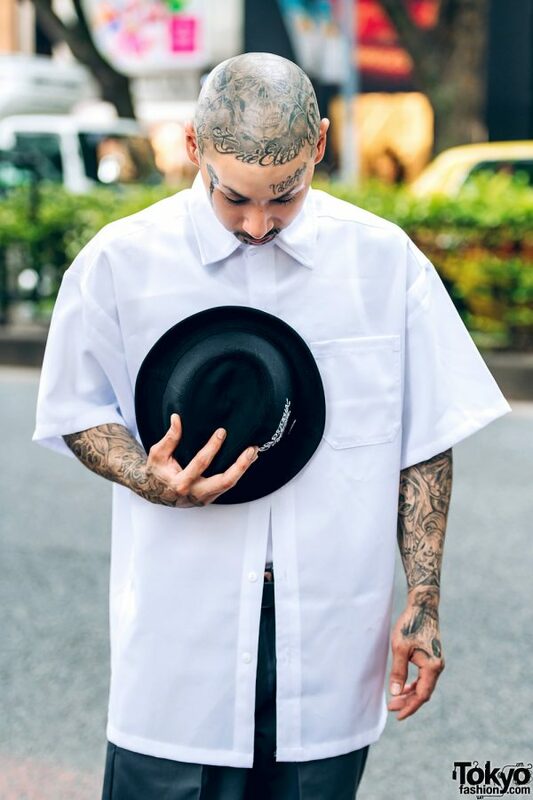 White sneakers, tattoos, and accessories from Avalanche completed his look. For more on Genbu, follow him on Instagram on check his tattoo artist website. 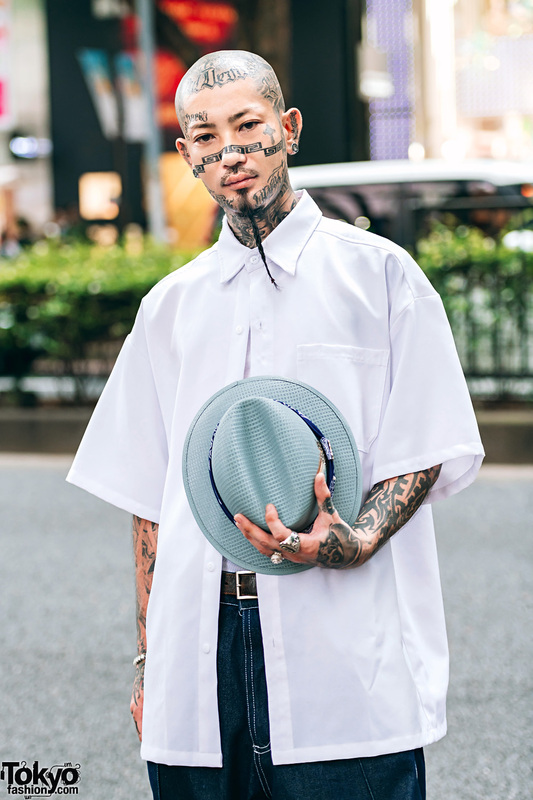 Meanwhile, Taku stepped out with a black fedora. 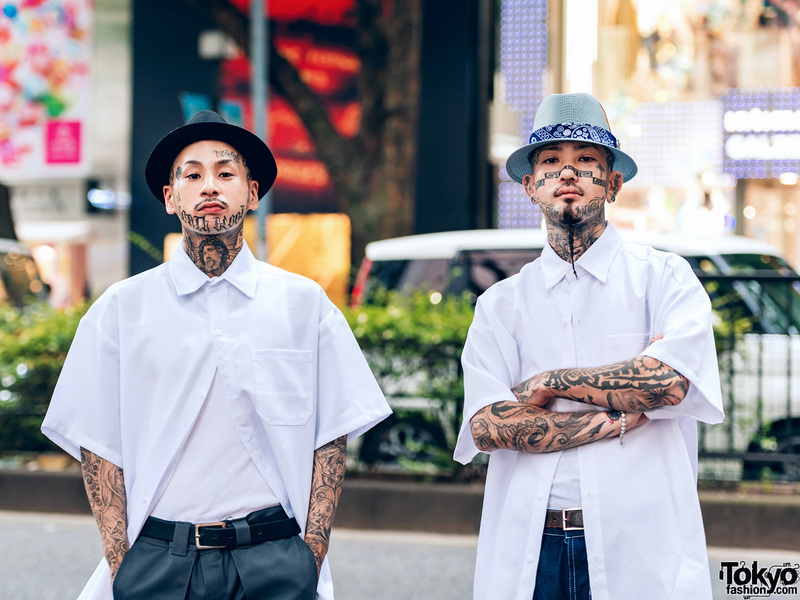 Like Genbu, he wore a white button-down top over a white T-shirt. 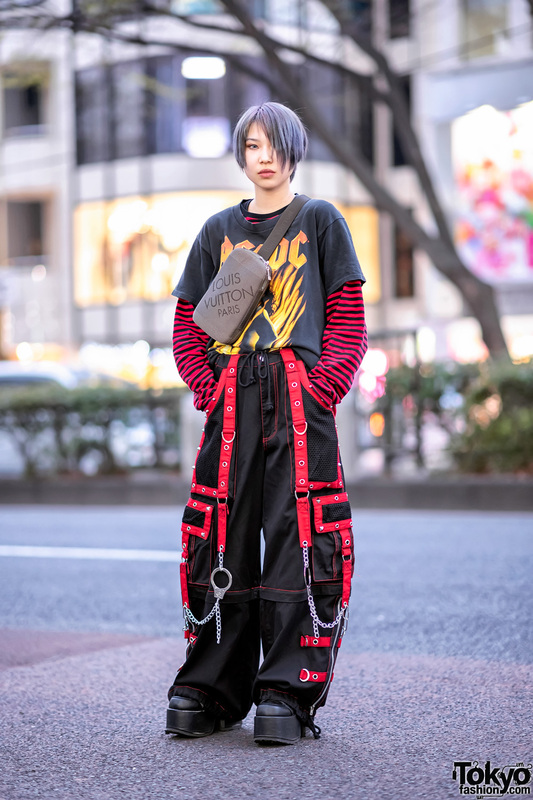 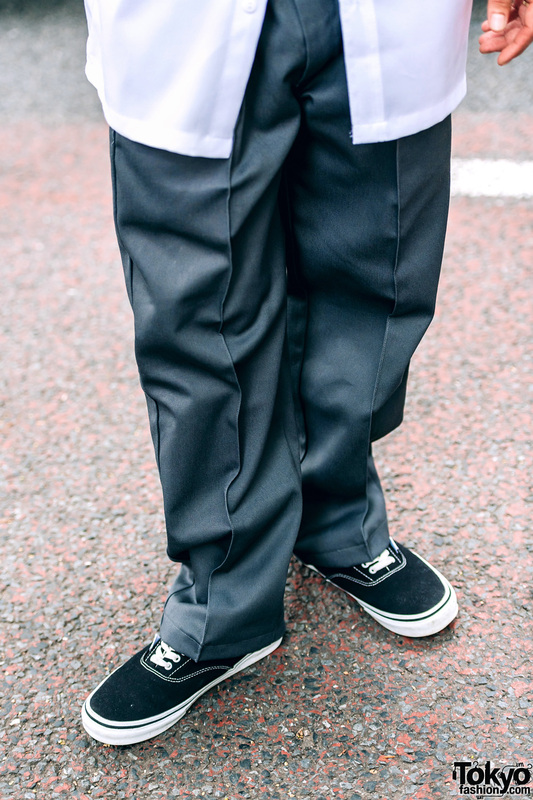 He finished off his look with loose grey pants, a black belt, black sneakers, and a multitude of tattoos including face tattoos and head tattoos.